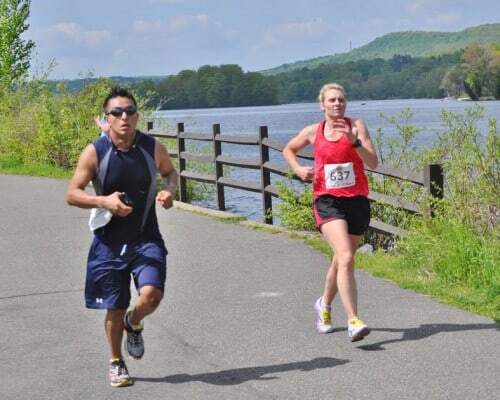 Set for its 7th annual running this year along the gorgeous, tree-covered hills and woodlands of Berkshire County in western Massachusetts, the Steel Rail Half Marathon unfolds along a point-to-point route that starts in the small town of Lanesborough and finishes 13.1 miles later in nearby Adams. 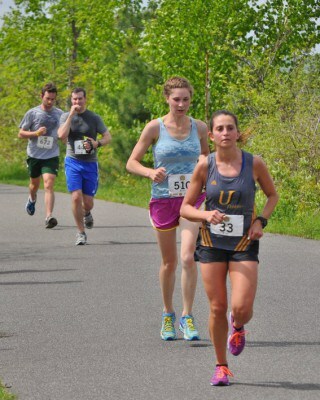 Runners start the race at Berkshire Mall, where they’ll make nearly two loops around the mall’s Loop Road before heading out onto the Ashuwillticook Rail Trail, which stretches just over 11 miles and runs through Lanesborough and Cheshire before ending in Adams. The trail’s 10-foot-wide path is paved and flat throughout, and organizers note that there are only three turns throughout the entire race. 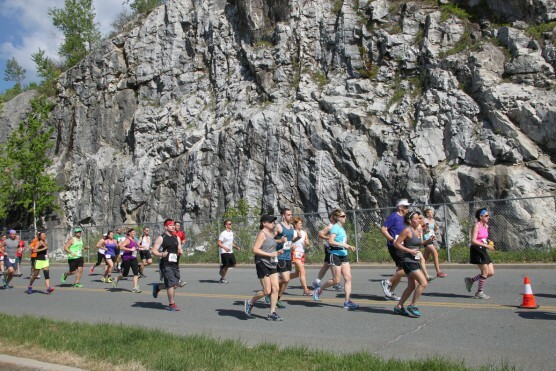 Other than that – and a few very small hills in the first few miles – runners will enjoy a very gradual downhill descent that drops just over 200 feet in elevation by the time runners reach the finish line at the trail’s visitor center, just off Depot Street in Adams. Photo courtesy Anita Louise Photography. Nestled among the hills of Berkshire County in western Massachusetts, Lanesborough lies just a few miles south of Cheshire, which usually sees some of its mildest (and wettest) weather of the year in May, which can still bring snow. On race day (May 19), the average low is 43ºF and the average high is 68ºF. See the race route map for the Steel Rail Half Marathon here. 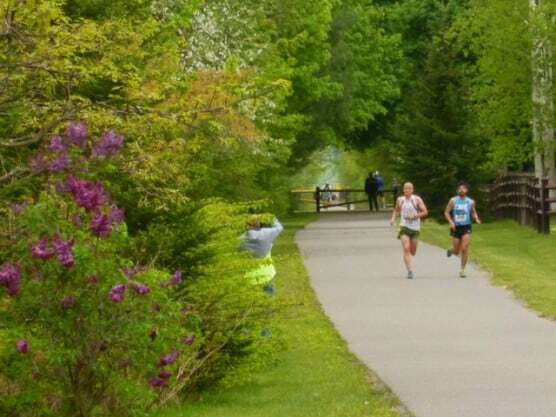 To reserve your spot in the May 2019 running of Lanesborough’s Steel Rail Half Marathon, register online at the race website here. Ever run in the Steel Rail Half Marathon? Share your impressions here, or post your review in the Comments below.